The tour was much more than we expected! The skippers interesting and humorous commentary kept us engaged throughout the 2.5 hour trip. The sights including Cathedral Cove and the many islands and geological features of Mercury Bay were above expectations. The snorkelling spot chosen for us was outstanding. 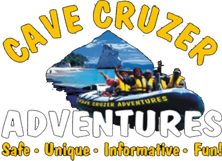 I would highly recommend this tour to anyone visiting Whitianga.